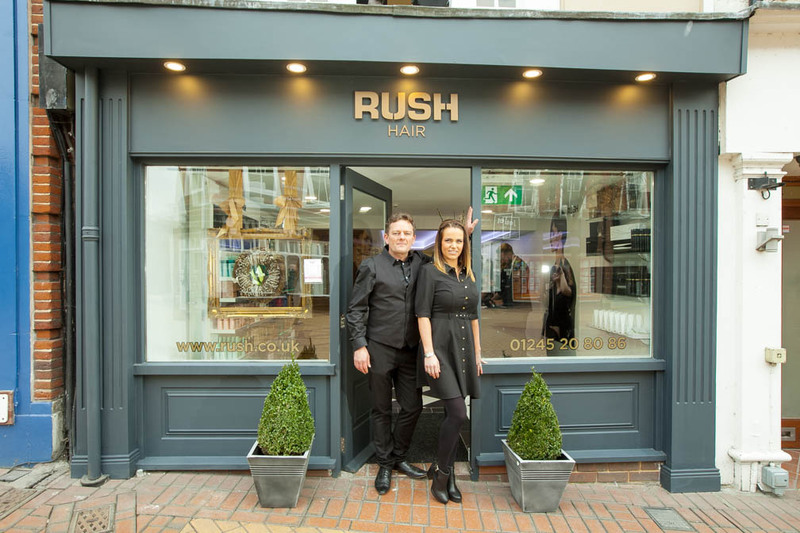 Two new beautiful Rush salons opened in February 2016 just a week apart, adding to Rush’s growing franchise network across the UK. Rush West Hampstead, with franchisee Liliana and Rush Chelmsford with franchisees Billy and Holly are the latest salons to open in an classical elegance meets modern and sleek interior style. I sit down a speak to the 2 new franchisees, Liliana and Billy about their franchising process and opening a business in a new area. Hi Liliana, what made you decide to open a franchise with Rush? LILIANA: I’ve worked as a hair stylist and a salon manager over the last 15 years. I chose to franchise with Rush because they really stood out to me as a company with very high standards of customer service and excellent hairstyling techniques as well as being in line with my own expectations. When I met the Rush Chairman, it was easy to see that the company has a solid business foundation, built by hard-working, dedicated and committed people. Right from the start I felt part of the Rush family and was offered all the support every new franchise owner needs. What made you choose West Hampstead to open your Rush salon? LILIANA: I’ve lived in North-West London for the last 10 years and I realised the amazing opportunities for a hair salon in West Hampstead. West Hampstead is a growing area with an amazing high street and excellent transport links. Recent residential and commercial developments show the future potential and how sought-after the area has become. The area is young, vibrant, dynamic and fits well with the high standard of services Rush offer. Hi Billy, tell us about yourself, why did you decide to become a Rush franchisee? BILLY: I’ve been a hair stylist for over 20 years working all over London, I’ve managed and owned my own salon in the past. I decided to franchise with Rush because I wanted a change and a new challenge, I wanted to be part of a bigger team and successful, growing brand. I wanted to join Rush because I strongly believe in the brand’s philosophy and after meeting the directors I felt confident going into business with Andy and Stell and being part of the Rush family. How did you find the Rush franchising process? BILLY: To be franchising with Rush is such a great opportunity. To be able to go into business with a close knit family and such a successful brand with over 50 industry accolades behind them is really special. I have so much ongoing support and training from Rush for both myself as a franchisee and my team of stylists. To have Rush Art Team members like British Colour Technician of the year, Chris Williams and British Fellowship Hairdresser of the year, Andy Heasman working directly with my team, passing on their skills and doing everything to help make my salon a huge success is incredible. 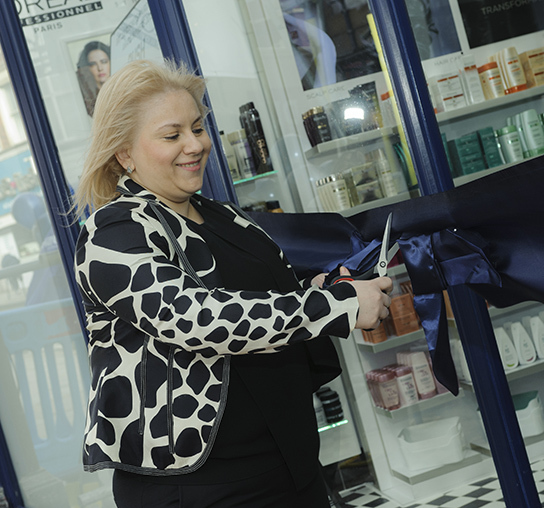 Why did you choose Chelmsford to open a Rush salon? BILLY: Chelmsford is an amazing city, the salon is in a beautiful 3 floored old building right in the middle of the town centre. There is a lot of friendly and lovely clientèle in the area and I feel Rush will do really well here. I’m looking forward to bringing a new style of glamorous London hairdressing to the area. New Rush franchise coming soon! Meet our latest franchisee, Liliana.